Those who abuse the blue badge system beware! Blue badge holders in Calderdale are being reminded of the rules and regulations around the use of their blue badges. Calderdale Council will shortly be hosting a targeted action day to make sure that blue badges aren’t abused. The blue badge scheme is for people with severe mobility problems and can park free of charge and without time limit in any on-street pay and display area as long as they clearly display their blue badge in the vehicle. In Calderdale this benefit is also transferred to the council-managed car parks, but badge holders must ensure they comply with the terms and conditions of the car park by parking within in a marked bay. Calderdale Council’s Cabinet member for regeneration and economic development, Coun Barry Collins, said: “The misuse of blue badges is an issue across the UK and Calderdale is no exception. “It’s really important that those who have blue badges use them for the reasons why they were issued in the first place. 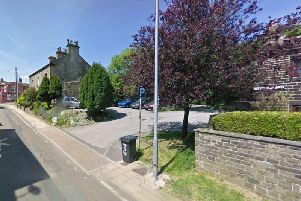 Malcolm Kielty, member of the Calderdale Disability Partnership and a wheelchair user, added: “We’re really pleased that action is being taken to address this issue. The action days should hopefully reduce misuse of the scheme and make people realise that blue badges should be used properly. “We hope that action days also help make people realise that parking bays for disabled people are there for a reason.